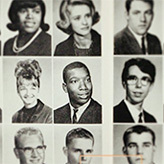 Jacob Lawrence shares his personal ties to the Great Migration. 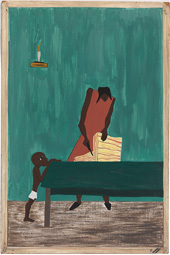 Explore all 60 panels of Jacob Lawrence's great American epic. 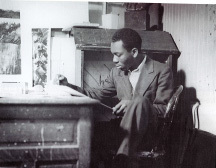 Browse all 60 panels from The Migration Series and delve into Jacob Lawrence's art and life through photographs, poetry, music, and the artist's own first hand accounts. 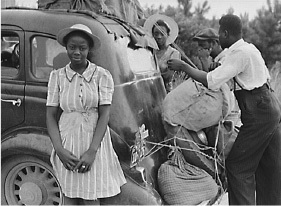 Hear stories that show the Great Migration's impact from a wide range of perspectives, and share your own experience through words or images. This website is produced by The Phillips Collection. Additional support is provided by Harvey Ross, Patricia Mathews, and a community of online supporters. The website has been launched in conjunction with the exhibition People on the Move: Beauty and Struggle in Jacob Lawrence’s Migration Series, organized by The Phillips Collection and the Museum of Modern Art in collaboration with the Schomburg Center for Research in Black Culture. The Phillips Collection’s presentation was curated by Elsa Smithgall. 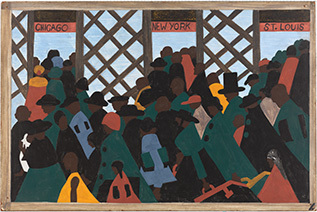 Visit The Museum of Modern Art’s website One-Way Ticket: Jacob Lawrence’s Migration Series.